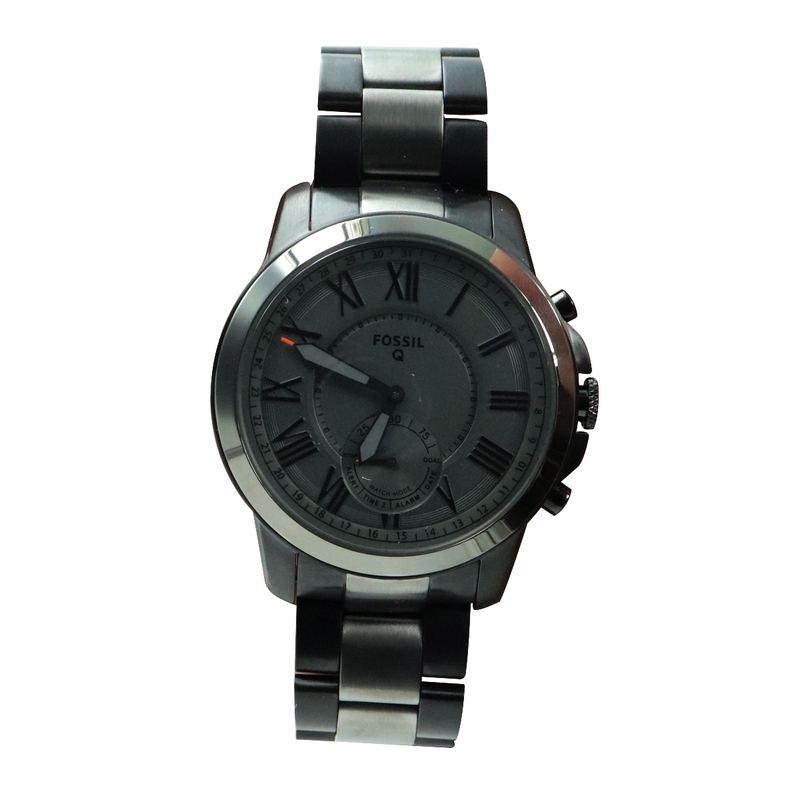 The Q Grant Hybrid Smartwatch from Fossil brand name products. Compatible with Apple iOS and Android devices. 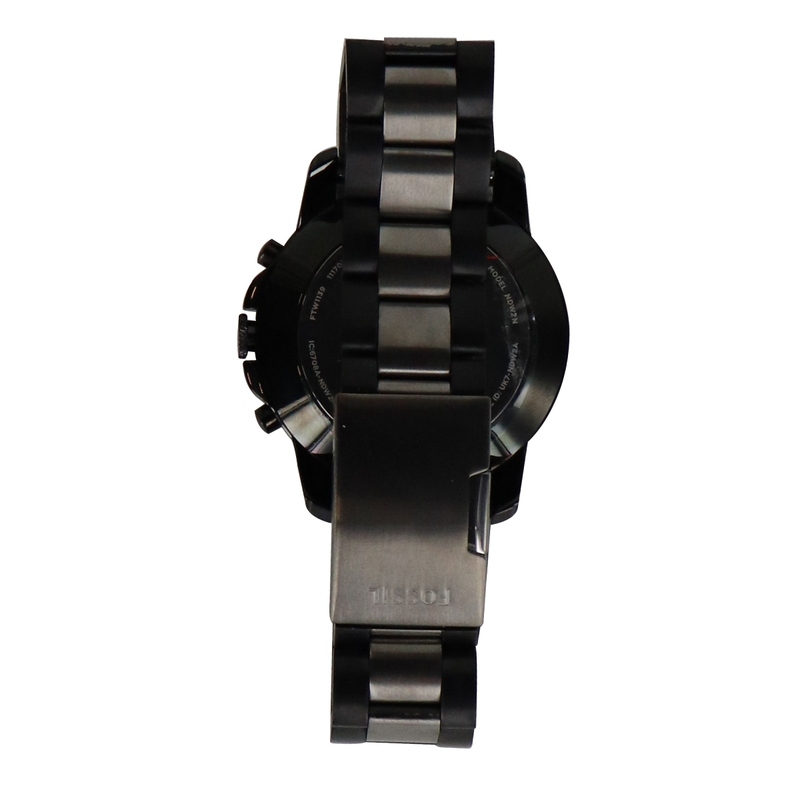 Case Size - 44mm. - Looks like a watch, acts like a smartwatch. No-charge hybrid smartwatches feature built-in activity tracking, filtered notifications and multiple time zones. - Snap a photo, ring your phone, control your music and more with the customizable link button. - Track your everyday accomplishments including steps, distance, and calories burned and monitor your sleep duration and quality. - When a notification or alert arrives for a text, email or app update, a gentle buzz lets you know right away. - Always connected with a battery life up to 1 year (based on usage) and automatically syncs to your phone. 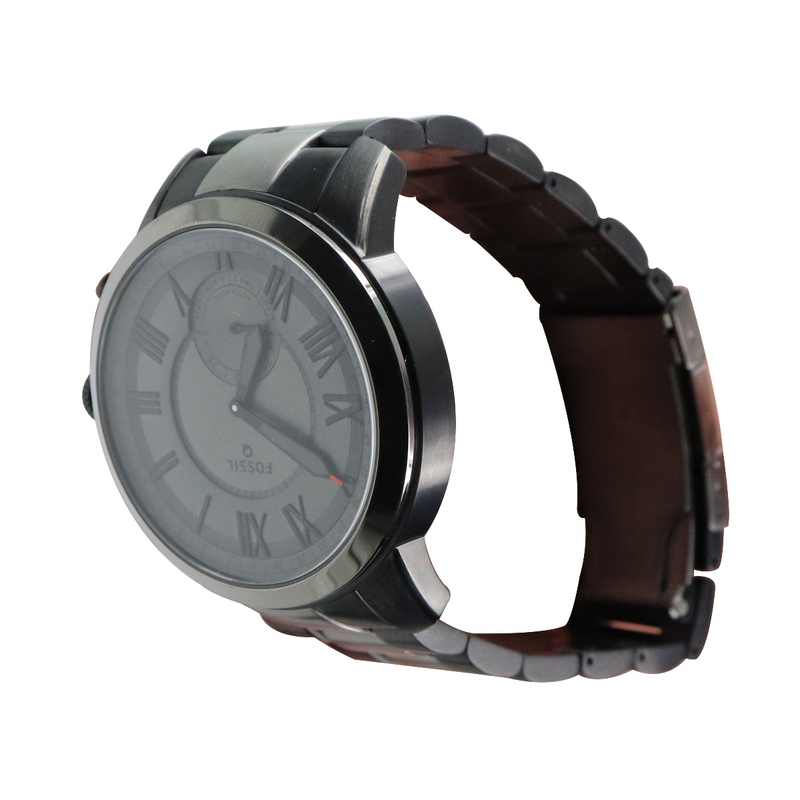 - Compatible with all Fossil brand 22mm straps. Includes: Q Grant Smartwatch (Smoke), Watch Key, and a Guide/Information Pack.